Not all pool builders are experienced in concrete pool installation. Installing concrete swimming pools is a lot more complicated that dropping a preformed fiberglass pool into a hole in your back yard. The pool builders at Mid Atlantic Pool Service have the professional experience and know-how you need to design your pool and work with you throughout the process to give you your dream pool! With concrete pools, there is no limit to size or shape. There’s nothing wrong with the traditional rectangular pool, but you are not required to go with straight lines. 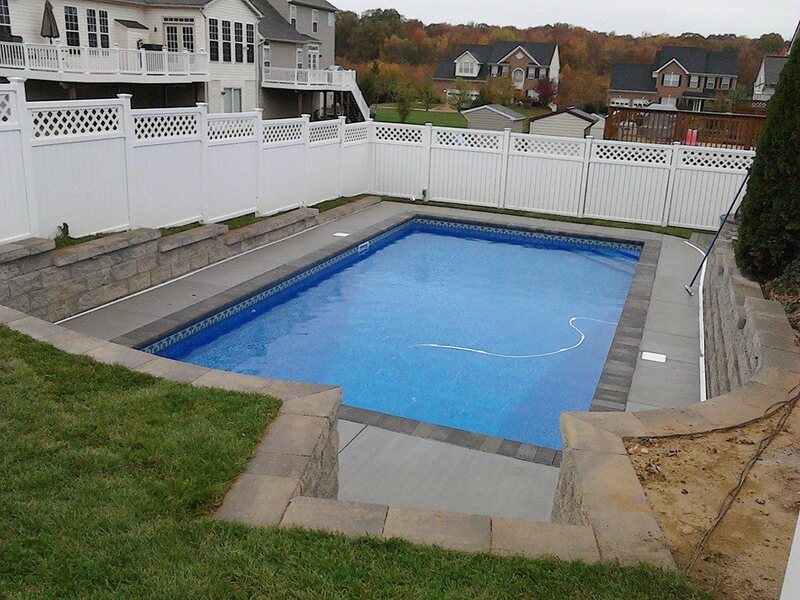 We are licensed pool builders in the state of Maryland, and over the years, we’ve installed concrete pools in Baltimore County, Howard County, Harford County and Anne Arundel County. Call us today at 410-598-9740 for a free estimate. Once we’ve designed your pool, the next step is laying out the design and the big dig – excavation. The earth from your pool excavation is either hauled away or kept on site for backfilling as necessary later on in the pool installation process. Next comes the plumbing, steel, electrical and inspection process. We’ll use steel reinforcing bars (rebar) and shape it to the pool design. 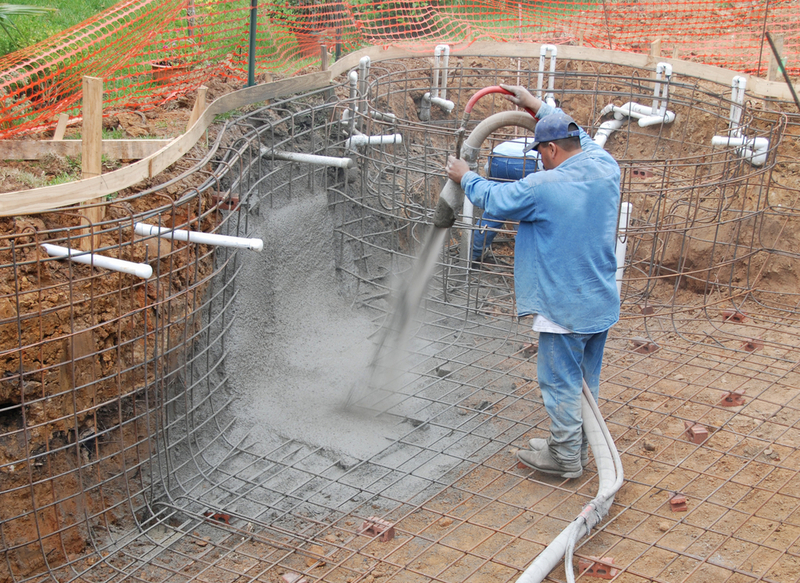 The major step in your concrete pool installation is Gunite or Shortcrete day. It’s noisy and dirty, and there will be a lot of heavy equipment as we shoot a mix of cement, sand, water and aggregate from a pneumatic applicator at high speeds to form the wall and floors of your concrete pool. It’s best to keep your children and your pets inside on this day. Before the concrete sets, we smooth it with trowels, and after it sets, we apply a coat of plaster. All electrical components are installed before plastering. At this time, our attention turns to the area at the edges of the pool and outside the pool. We’ll apply tile, coping and construct your pool deck. Once the pool and pool deck are constructed and finished, it’s time to fill your pool! Once we fill the pool and balance the chemicals, as well as do any brushing and backwashing needed to clear away any remaining plaster dust, your pool is ready for your first pool party! You may want to visit some other pages on our website to learn more about some of the different steps and options when it comes to your concrete pool installation. We also install pool decks, either at the time of your pool installation, or later on as you are looking to upgrade the area around your inground pool. We can build you a paver pool deck, concrete pool deck or a pool deck made from composite decking. Adding pool lights is most easily done during pool construction. Pool lights can turn a pleasant evening at the pool into dazzling light shows with color changing lights. Pool equipment and pool accessories can be installed at the time of pool construction, or as add on features later. 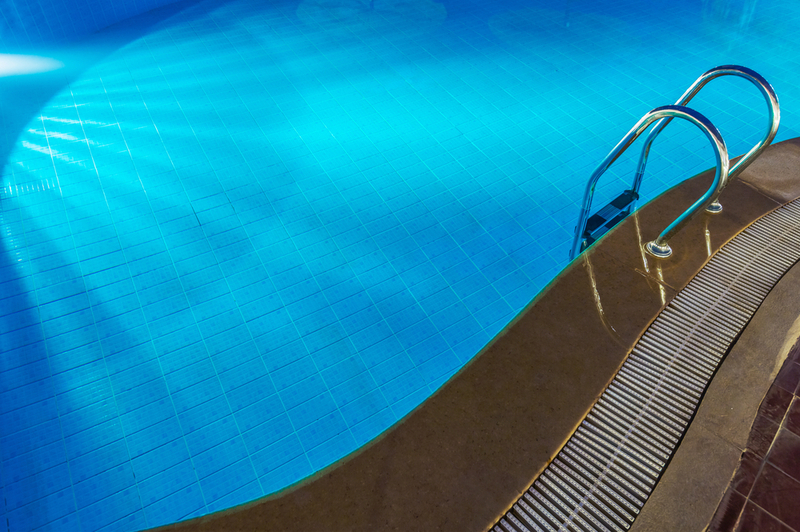 Ask us about our diving boards, pool slides, pool ladders, pool steps and more. Call Mid Atlantic Pool Service today at 410-598-9740 for a free estimate on your concrete pool installation. We can’t wait to work with you!